Welcome to the Pacific Coast Baseball League! PCBL is LA and OC's premiere adult 18+ baseball league. We are an adult recreational league that prides itself on having some of the best fields, competition and players in all of LA & Orange counties! Our playoffs and All Star games are held on collegiate and minor league fields. Our regular season games are on college & high school varsity fields throughout LA & OC (with real mounds, fences and dugouts!). Every game will have a minimum of two umpires, and all games and player stats are kept online for all to see! Our Summer League begins around February/March and is 18 games. Fall begins in September and is a 10 game season. 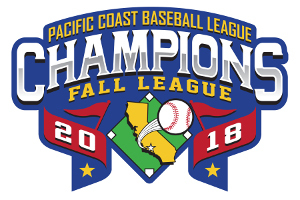 We have both an LA league and OC league, which will meet for All-Star Game bragging rites and again at the end of the season for a winner-takes-all PCBL World Series! So if you love the game of ACTUAL baseball, still have the competive spirit and appreciate organized baseball... Then PCBL is the place for you! Joining our league is easy. Click Join Now and register in the Player Pool. After that either come to one of the Open Tryouts that are held before each season, or be contacted by one of our teams during the season. Choose either the LA League or OC League above to get more information about that prospective league TODAY! The 2019 LA Spring season is right around the corner! Sunday, 3/3 - Opening Day!!! Then REGISTER as a FREE AGENT so manager wanting players can contact you directly. Fill out the REGISTRATION form and you should be contacted directly by a team manager either by phone or email.